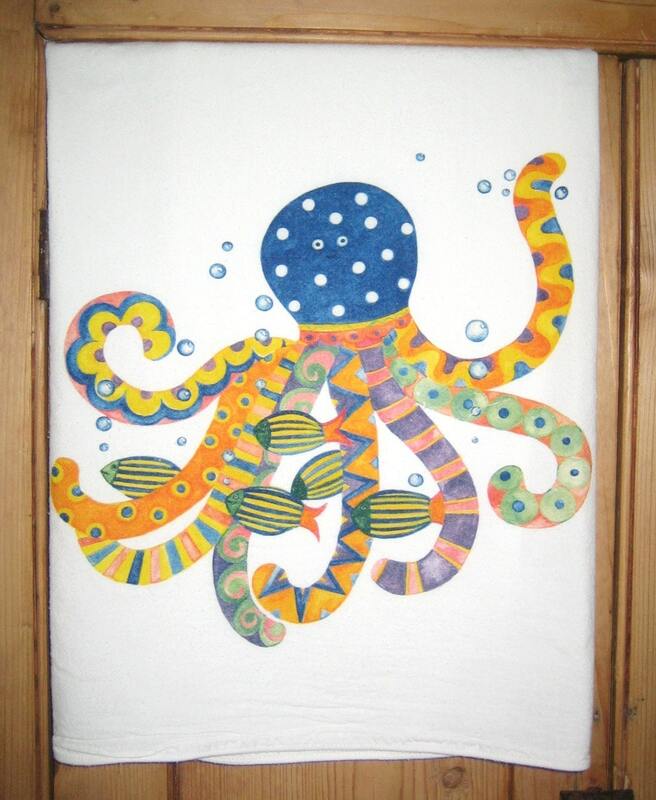 Octopus, hanging out with fish friends, digitally printed from original folk art style watercolor painting on large, white, nice quality, cotton kitchen towel. 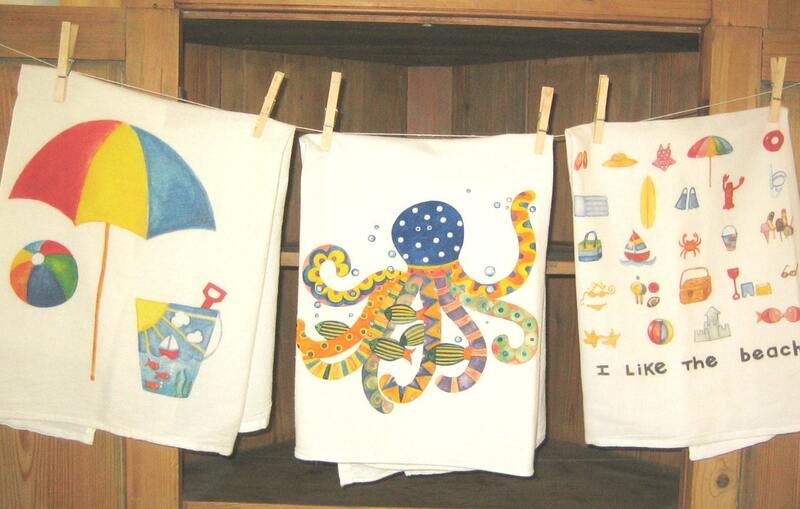 Looks good with I Like the Beach and Beach Umbrella towels or all by itself. 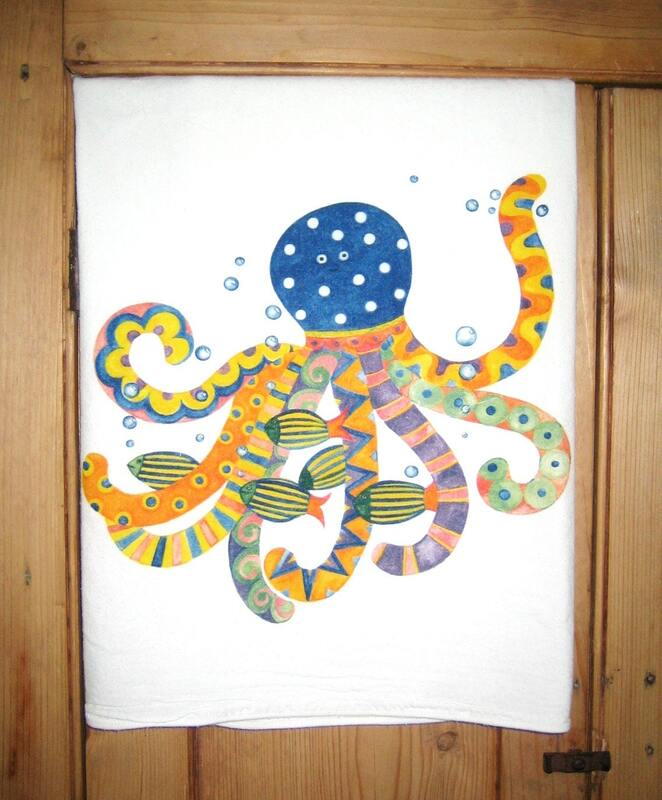 Towel is large enough to get the job done, 30X30, design is appx 11" across, center, bottom edge.